Hey everyone! So, today I want to talk about a style that I've been interested in as well as imitating for several years now: The Living Doll style. So, what is a Living Doll? What defines them? To explain simply, Living Dolls are those who choose to imitate the look of a certain style of doll both with their makeup and hair as well as clothing. Many Living Dolls choose to try and modify their figure to be more doll-like through methods such as diet and exercise, corseting, or surgery. The type of doll imitated varies widely, but typical inspirations are Barbie dolls, Asian ball-jointed dolls, porcelain dolls, or anime. Barbies are known for their dramatic proportions, glamorous features, and somewhat flashy clothing. A few well known Barbie inspired Living Dolls are Valeria Lukyanova and Angelica Kenova. Asian ball-jointed dolls tend to have slender figures, large, but still realistic looking eyes, and a somewhat natural, yet still elegant look to them. By far, Asian Ball-jointed dolls seem to be one of the more popular inspirations amongst the group I'm in (an online community on Facebook). A popular Living Doll that has this sort of style is Dakota Rose or Kotakoti. Unfortunately, Kotakoti is known for achieving her look partly through image manipulation, but not all Living Dolls choose to do this. Porcelain dolls are well known for their child-like features, extravagant clothing, and perfect skin. Many Living Dolls also draw inspiration from porcelain dolls. Venus Palermo or Venus Angelic is a popular YouTuber that is known for her porcelain complexion and doll-like features. When she was younger, she used to dress more extravagantly like a porcelain doll, but more recently her style has become more natural like an Asian ball-jointed doll. 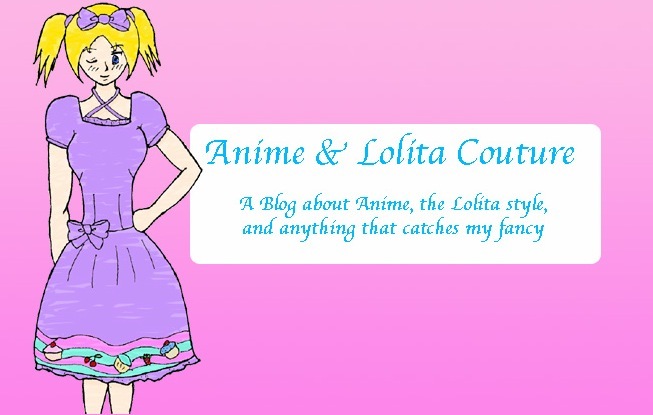 Anime is well known for its long legs, huge eyes, and slender figures (actually more typical to Shojo anime, aimed at girls 12-16, but still common in other styles of anime). Anime Living Dolls tend to exaggerate their eyes greatly through use of false eyelashes, circle lenses, and white eye makeup. A very popular anime Living Doll is Anastasiya Shpagina on YouTube. There are some other doll styles that Living Dolls choose to imitate such as Pulips or French dolls, but these are the main inspiration for many Living Dolls. Now, let me answer some frequent questions that arise when Living Dolls are brought up. So, are Living Dolls trying to actually be dolls? In most cases, no. Living Dolls just like the look of dolls and choose to imitate it with their style and make themselves into what they consider to be an ideal look, similar how many people choose to dress like runway models or popular icons. While there are some dolls that choose to imitate their preferred style of doll very closely through use of plastic surgery, I find that most of us choose to stick to makeup, diet and exercise, and corseting (also known as waist training) to achieve our look. Why do you want to look like a doll? Why not Kim Kardashian or Taylor Swift? Most Living Dolls choose to look like dolls just because we like how they look and we aren't as interested in trying to achieve the look of some famous actor, star, or model. In some cases, a Living Doll might have features or a build that resemble a doll and just choose to run with it and start making their looks even more doll-like (similar to Venus Angelic). They may also just be interested more in anime and Japanese fashion than typical European styles and looks, like me. Are you obsessed with looking like a doll? In many cases, Living Dolls are just as obsessed with our looks as any typical teenaged girl or fashionista. We typically aren't so into our fashion as to spend every living minute focusing on looking like a doll, but we make changes to our lifestyles to accommodate our style such as planning a wardrobe, makeup, or redecorating our surroundings. Just like anyone else interested in something, we surround ourselves with our interests and develop them. Much like someone into video games might collect games and systems or someone into runway fashion might surround themselves with model inspiration pictures and the trendiest clothing, Living Dolls tend to surround themselves with items they deem "dolly." For some this might just be the clothing and makeup required to look the way they like, or it might mean completely redecorating their surroundings to reflect their style. I hope you all enjoyed this post. If you have any questions about Living Dolls, feel free to ask and I will do my best to answer. I'll be doing a post later talking about the Living Doll community, so please look forward to that. My Twitter's pretty much dead. Let's just admit that and leave it in peace. Hey everyone! I want to apologize again for my sporadic posting schedule lately. I'm still working on building up a good buffer for my blog again to prevent this from occurring again (at least for several months), but it's a little difficult to do so when you're writing at the pace of one third a post every couple days. With a lot of posts ending up not being worked on again because you lost your train of thought. Resulting in me having a lot of drafts that I will likely not finish because I can't think up enough to write about. However, I'm very slowly working on ideas that will result in a full post so we can get back to our regular posting schedule. I've got a post lined up for this Saturday and have another couple I'll be writing for the next couple Saturdays today. In case any of you wonder, I've just been life get the best of me lately and have been over-booking myself for a while. I'm working on not scheduling so much for myself and also am focusing on doing more of things that I enjoy writing about on my blog (video games, sewing projects, learning about new fashions, etc.) in my free time. I hope you all can understand and I look forward to sharing more of my hobbies and interests with you guys in the future. Hey everyone! First of all, I'd like to apologize profusely for my lack of post last weekend as well as this. I, unfortunately, haven't been especially inspired lately, so writing enough posts to have a good buffer has been difficult for me. Plus I was on a two week vacation to go visit my family and go running around whacking friends old and new with foam swords. Today, I'll be talking about the foam sword whacking. So, as I've mentioned in a previous post, I'm part of a LARPing group that plays under the rules system for Amtgard. As I have yet to get in touch with my local group, visits home usually include getting myself to every Amtgard meetup possible. This trip around though, I was lucky enough to come during a much larger Amtgard event that includes the whole area as opposed to just my regular group: Feast of Mars. I had never been to an Amtgard event, but my sister had been to Feast of Mars a few years in a row, so between her and my other friends, I was able to get an idea of what it would be like. However, Feast of Mars was way more fun than anything I could have anticipated. First of all, let me tell you a bit about the event itself before getting into details. Feast of Mars is a two day weekend event, but folks typically show up Thursday (if they can get off work) and leave Sunday morning. Due to the location, everyone brings a tent or similar camping shelter to sleep in at night and meals are provided as part of the event fee. This doesn't stop folks from making their own food over a campfire if they so choose though. Throughout the course of Friday and Saturday, there are a variety of games that players can earn points during that contribute to whether or not they get a prize at the end of the event. (Prizes are donated by attendees and there were a lot, so a good number of people got prizes at the end of things.) I was not present during Friday's games, so I do not know what they were, but Saturday's games were the main focal point of the event (that and getting drunk throughout the day for most people). The theme of the games (as suggested by the name of the event) is based off of Roman coliseums and as such the main players were considered to be slaves. Saturdays games began with group ditches (one fighter or group of fighters against another) out of which the slave traders would select fighters that would then be auctioned off to the slave owners. After being selected, players then grab a tabard in the correct color for their team and tell their name (character name, not real one) to a book keeper. After all the people who want to play in the games have been chosen, the teams get together in their team's pavilion for a briefing by their new owners as well as being selected for the various games. Some games had all players participate while others just had two or three players. A couple of examples are the Meatgrinder and Drawn and Quartered. In Meatgrinder, all players participate. One of the reeves (who proctor the game and make sure there isn't foul play) shouts out random numbers from one to 15 (the max number of slaves in this year's games). When a slave's number is called, they grab their weaponry of choice and go out onto the field to fight any other players on the field. This continues until all numbers are called. There can be multiple slaves from the same team on the field at once as the goal is merely to eliminate the other team's players. In Drawn and Quartered, two teams go up against each other with two players each. Both team's players must have one hand on a wooden handle that is attached to their teammate's wooden handle by a bit of rope. If one player lets go, their team loses and if both players from a team die they lose. There were a number of other games (I can't remember all their names) and once they were all finished, everyone went to go fight some more in ditches, shower, or just hang out and chat until dinner was served. During dinner, a suckling pig was brought out and presented to the king before the top fighters and teams were announced and prizes were chosen. After dinner, there was a bardic circle, more ditching, s'mores, games, and pretty much whatever people chose to do. In the morning, it was packup time as well as time for goodbyes and starting the countdown to the next Feast of Mars. Hello everyone! Today I'm going to be talking about a very small convention I went to once as a vendor with one of my friends. This is more of a cautionary tale than a convention review, unfortunately. My memory of this con's a bit hazy due to it having been four or five years ago now and also due to the fact that I spent most of my time spacing out at my friend's booth and being mistaken for a mannequin by the rare passerby, meandering the halls (with permission since there was extremely low customer traffic), and talking with some of the few people who were there. Among the people I talked to were some of the people behind the convention. As best as I can remember, it was being put on by Team LoveHate and they were pretty enthusiastic about it and were hoping the con would grow over time. Unfortunately, there were a lot of problems with this con despite the lovely people that I met putting it on. First of all, con security was terrible. A good number of people were showing up and not even buying badges for it. And the security people there were were generally unpleasant and grouchy, sitting in corners and growling at you. Not exactly a pleasant experience there. After the convention was even worse though. (Please note, all of the following information is gained second hand from my parents and friends talking and me catching small bits that flew by me.) Apparently the main guy running the con (not any of the people I talked to, fortunately) took all of the money from the convention and ran off with it. My friend who was a special guest there did not get paid for her appearance and panel like what had been agreed upon and also was charged for a second table because she suggested I move to it the second day after the original user had left (they only used the table for one day of the convention). Something else that put me off about the convention was that there was a tattoo station as one of the booths. And people were getting tattoos there. I bring this up because of the fact that tattoos and piercings should ALWAYS be done by a professional, in a sterile environment. And I'm pretty sure it's a lot more difficult keeping a convention area sterile than in a regular tattoo and piercing shop. So all in all, despite being very small and uneventful and turning out to be generally a ripoff for everyone involved, I enjoyed DeceptiKon. Obviously I can't recommend it as A) It's not a convention anymore and B) It was literally a deceptive convention. I met some amazing people at that convention and am very happy I attended as a vendor with my friends, but I am sad that it didn't turn out well in the end. Remember folks: Research your conventions and be dubious of conventions that are new (but don't avoid them completely since they might be great).